Is it a little busy? Yes. Do I care? No. Why not? The fabrics are precious ones, purchased in Provence on a bike trip for the Tour de France in 2004. 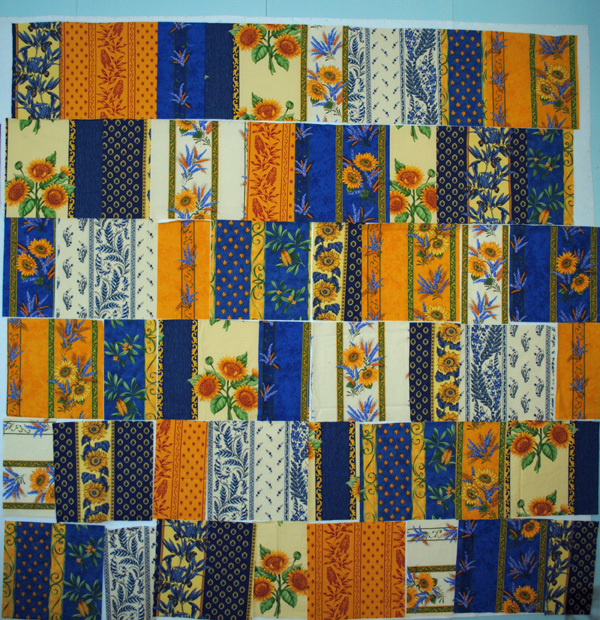 You know the story – I’d been holding onto these fabrics for years, loving them, but afraid to cut them. I finally found the perfect place for them in big blocks on a quilt for me where I will get to enjoy them every day. And, I’ve even come up a with a great new project for the scraps.